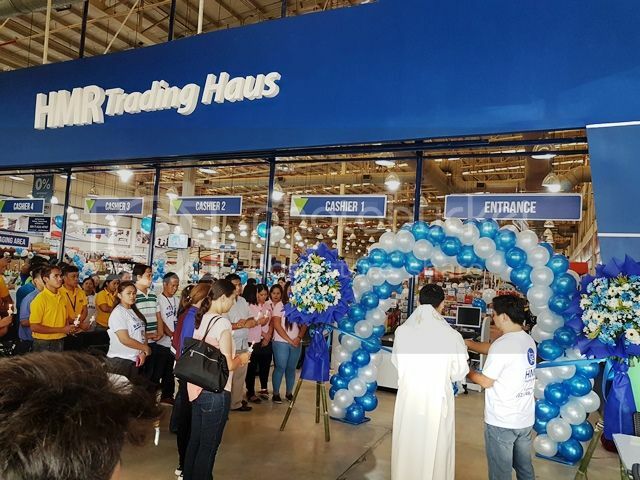 Last Saturday was shopping day because HMR Trading Haus just opened their 19th branch here in Las Piñas! Imagine my joy because I don’t have to brave the traffic anymore to go to a home depot and buy stuff for our new house, it’s practically just a stone’s throw away. 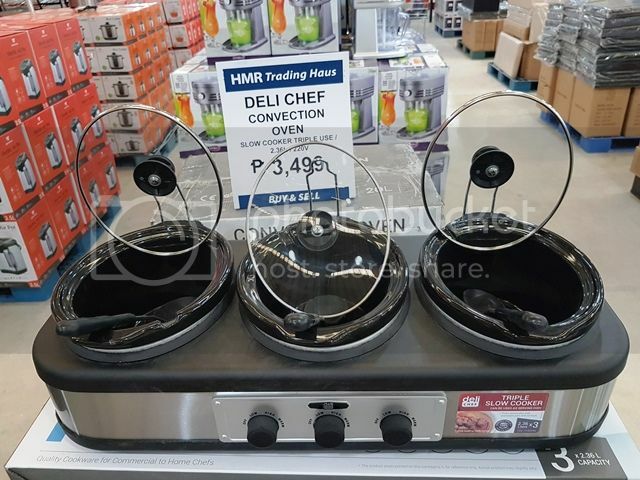 HMR Trading Haus Alabang-Zapote Road is inside SM Hypermarket (used to be Makro), nearest landmark is KFC Casimiro. Opening day started with a short mass and blessing of the entire warehouse. You can see the excitement of the owners, employees and of course, shoppers as the blessing came to an end. 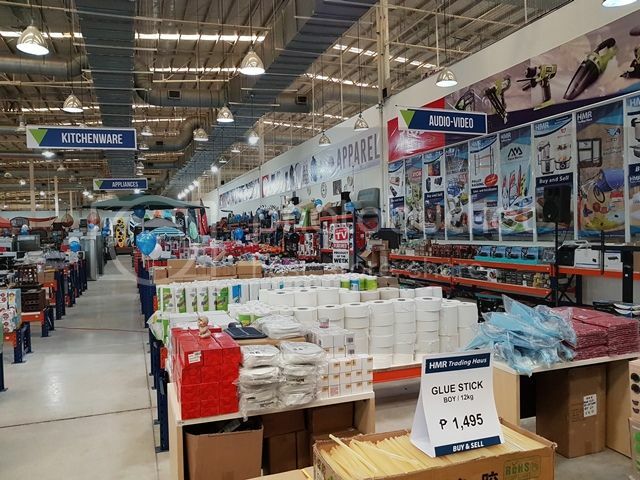 It wasn’t that huge a warehouse like where I used to shop but the thing is, HMR Trading Haus Alabang-Zapote Road got most of my needs covered, so I’m good with that. 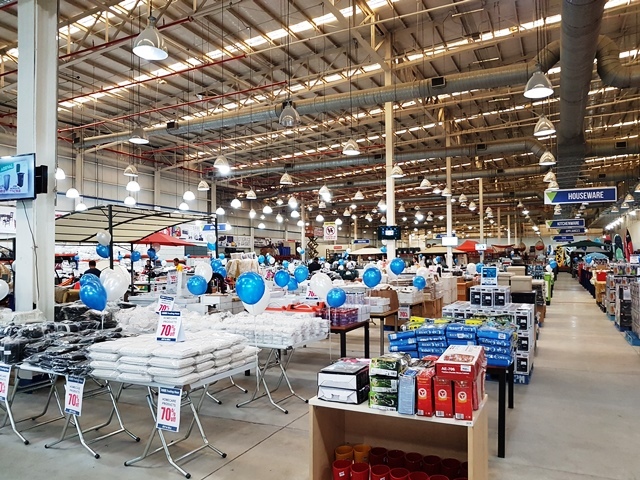 Though I’ve observed that they carry mostly industrial items as well as plant equipment and machinery, I was surprised that they’ve got great furniture, house ware, kitchen ware, audio-video, appliances, toys, sporting goods, office, apparel and a lot more added to their selections. See a few shots I took to entice you more into visiting this gold mine of a place for Southies. 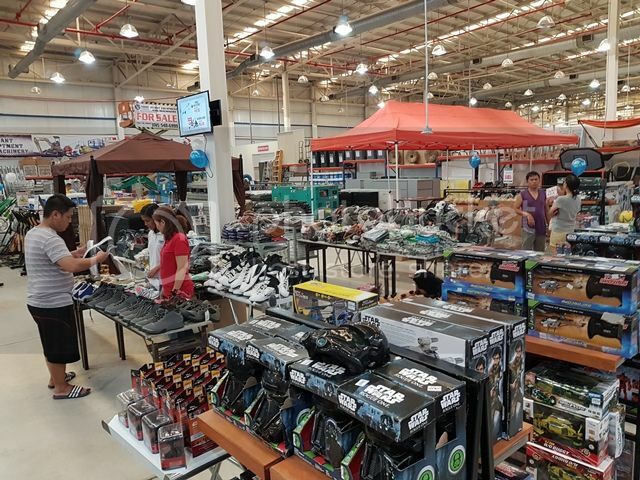 Opening day offers include up to 70% off on select sporting merchandise, buy 1 take 1 deals on crockery, shoes and summer items, P99 bargains on branded apparel and linen, Vacuum Cleaners under P600 and so much more. 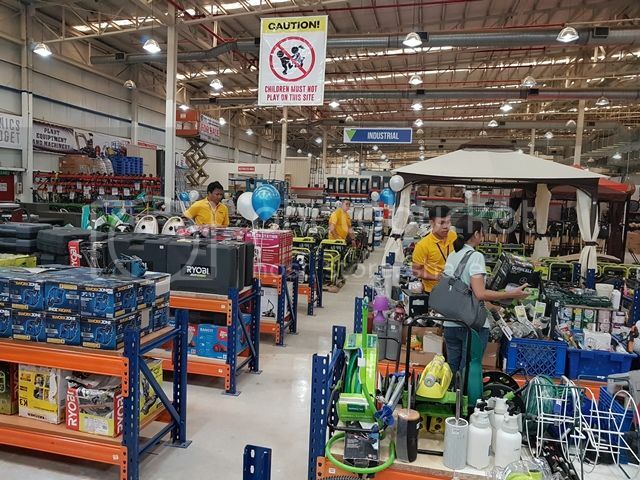 “Surplus goods are as good as new, meaning they are shelf pulls from known retail stores, over manufactured, cancelled orders or demo units used for display that need an alternative sales channel like HMR. 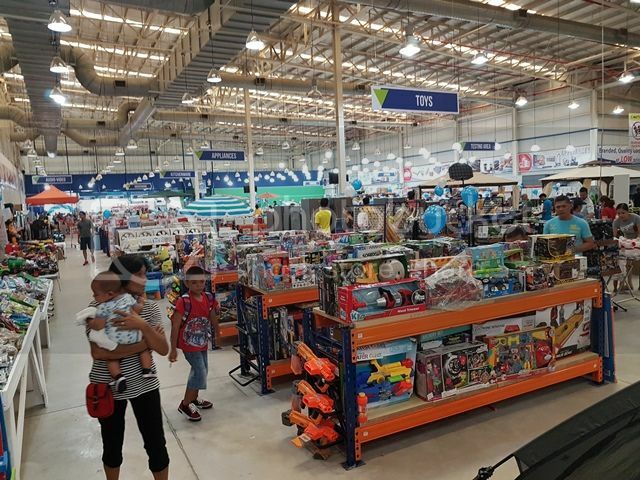 This allows customers to buy their favorite brands and merchandise at the lowest prices possible,” explains Sharlene Powell, Marketing Head of HMR Philippines Inc. 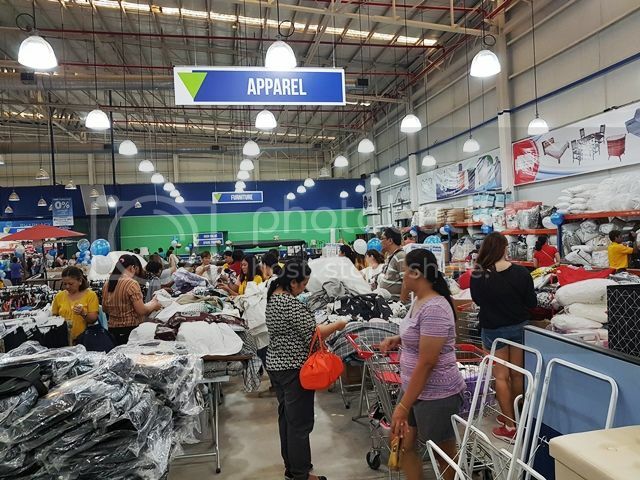 The Apparel section was a hit because most of the items were sold for only P99! 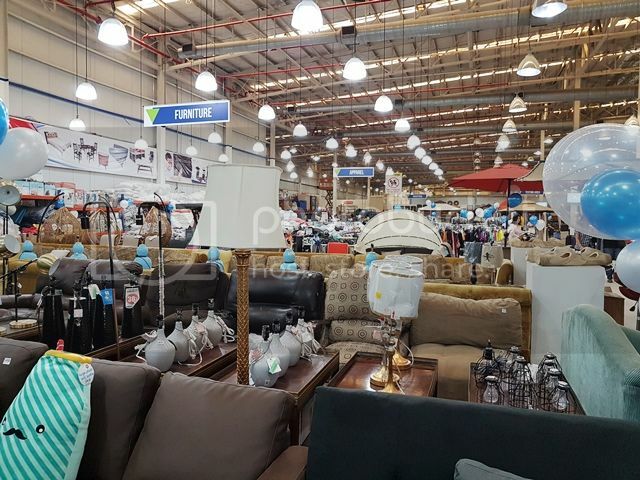 From curtains, linens, beddings, towels, mats, even clothes and shoes were hugely discounted! There was this one lady who hoarded loads of linens and I’m pretty sure she was satisfied because all items were brand new, imported, and high quality! Now, on to the items I happily took home with the hubby. We were beaming with joy because we badly needed a new set of pots and pans and we were so lucky to find a boxful at a huge discount! 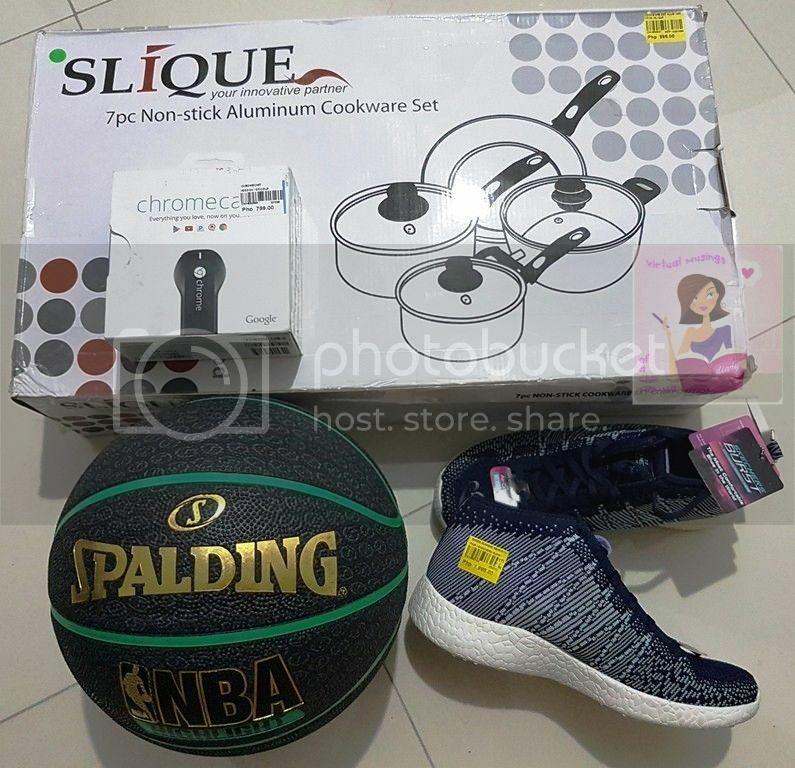 The Slique 7pc Non-stick Aluminum Cookware Set we got for only Php995. Can be used on gas and electric stoves and induction. Another great buy is the Google Chrome Cast for only Php799. I think the market price is around Php2000+ and I found the last piece! I was really lucky that day because I found 2 pairs of Skechers shoes sold at I think 50% off. It was unfortunate that it wasn’t in my husband’s size so gave it to another blogger friend. Mine was the exact size of 7 and was sold for only Php1995. Last we bought was a basketball coz my little boy requested for one a few weeks ago. Luckily, all balls were discounted and from Php449, we got it for only Php224.50. 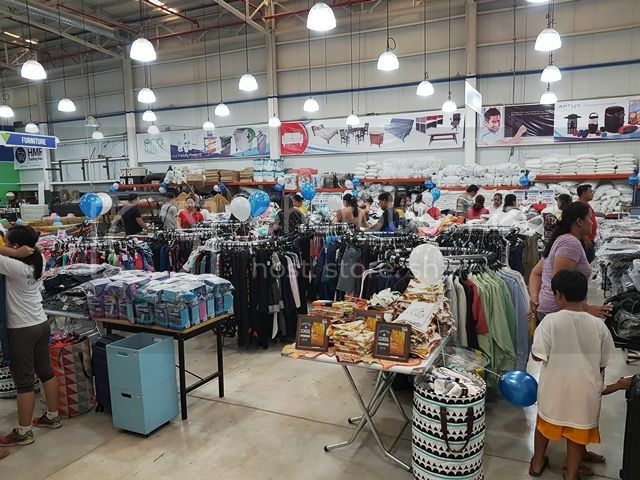 All in all, total shopping spree amounted to Php4,013.50 and we thank HMR Trading Haus for ensuring that we went home with huge smiles on our faces! If you’ve never been to an HMR store, you’re in for a unique shopping experience. One-of-a-kind items are abundant and prices are pocket-friendly. At HMR there is something for everyone including families, business owners, housewives, contractors, restaurants, hotels and many other clients. 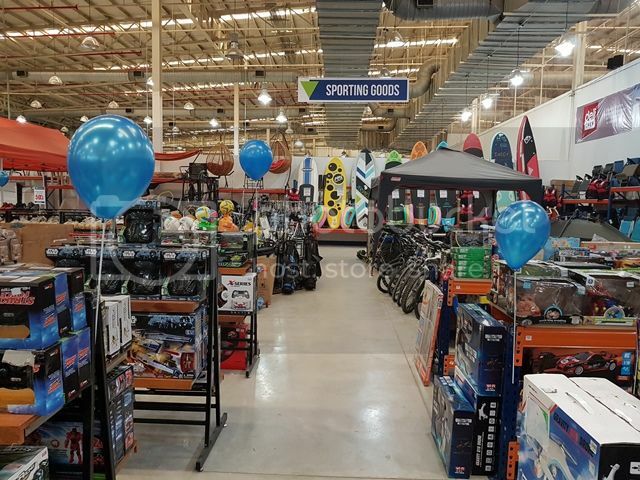 HMR has now expanded to (13) HMR Trading Haus Stores, (5) Save on Surplus (SOS) and (1) LORO sporting goods stores nationwide. 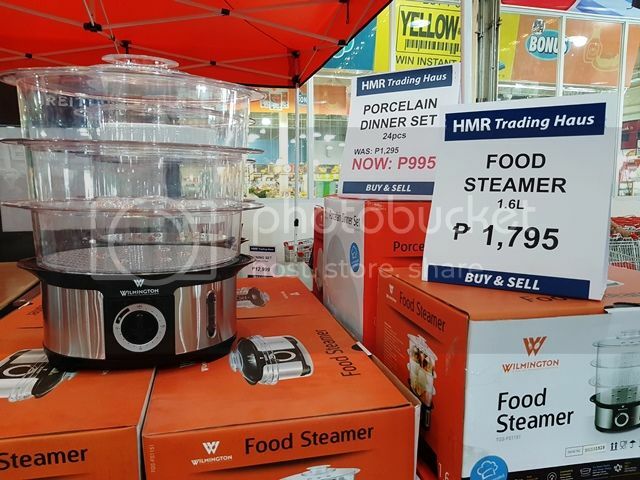 You can find HMR stores in Subic, Adriatico Malate, Novaliches, Araneta Center, Mandaluyong, Jaka Plaza Paranaque, Sucat Muntinlupa, Festival Supermall Alabang, Market Market BGC, Ever Commonwealth, Fairview, Sta. Rosa, Binan, Dasmarinas Cavite, Batangas, Pampanga and Cebu. 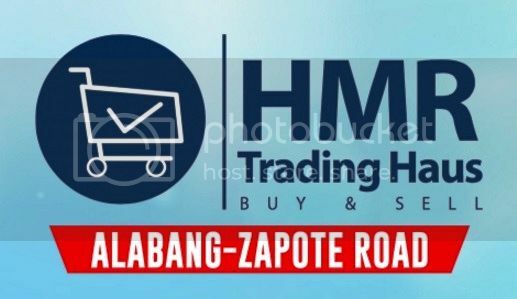 For inquiries, please call (02) 548-6999 or log on to www.hmr.ph, LIKE their Facebook pages at @HMRTradingHausOfficial and @HMRTradingHausAlabangZapote/.